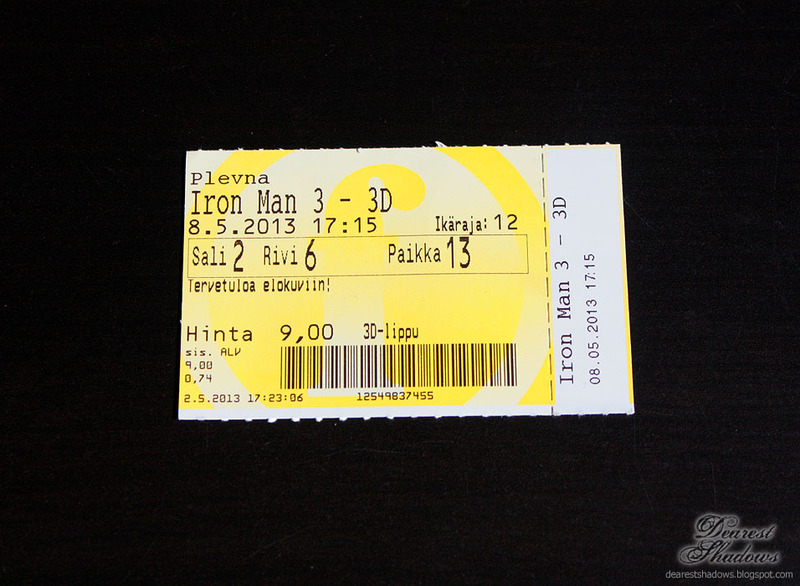 So today I finally went to see Iron Man 3 in 3D and may I say that it was awesome! It was full of action and great scenes and got better and better by the end. The movie combines together two old comic books which the oldest one were published back in the 1960's. Tony finds himself unable to sleep and plagued by worry. The main nemesis is a terrorist leader The Mandarin (played by Ben Kingsley) who is responsible for several bombings around the city. They slowly destroys Tony's world and when he finds it destroyed and those closest to him threatened, he must find a way to save them. Along with Robert Downey Jr. also Gwyneth Paltrow and Don Cheadle redo their roles as Stark's girlfriend Pepper Potts and his best friend James Rhodes. I would have thought that there was going to be a robotic nemesis against Iron Man Tony Stark this time like the previous movies but this time it was different - somehow even a little bit utopian for my taste anyway. The plot changes when Iron Man's second antagonist Aldrich Killian (played by Guy Pearce) created a team to further research and create the Extremis virus, which imparts unusual levels of strength and resiliency to human subjects. It is a nanotechnology virus which gets to the hands of terrorists. Against of these villains Tony needs to find out the question does the man make the suit or does the suit make the man but he needs to reinvent himself without the power of his suit. The music was great and very powerful this time also and I always enjoy listening it through the movie experience. I would have needed more intimacy with Tony and Pepper Potts for Tony let her know that she is the only thing he needs to protect. I need kisses and hugs and everything. But no. Tony Stark is Tony Stark. What differs on this sequel in comparison to the second is that you should have seen the pervious movies or at least the first to see this movie to understand it all. 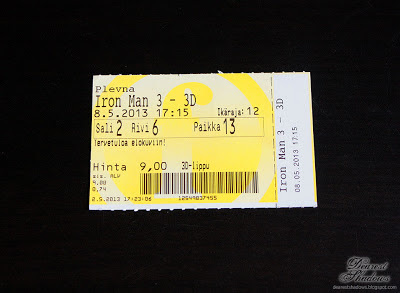 I don't really know was this the best Iron Man movie of the three so far but it was very funny, exciting and full of great action scenes. But it was also quite melancholy if I may say. I first was worried would there be a sequel referring to the end of the movie but at the end of the credits there read "Tony Stark will return" so that's pretty marvelous then. Also because Robert Downey Jr.'s contract with Marvel ends with Iron Man 3. Even The Avengers 2 most likely brings him back to the role of Tony Stark, Iron Man 3 was clearly an end of the series so far.